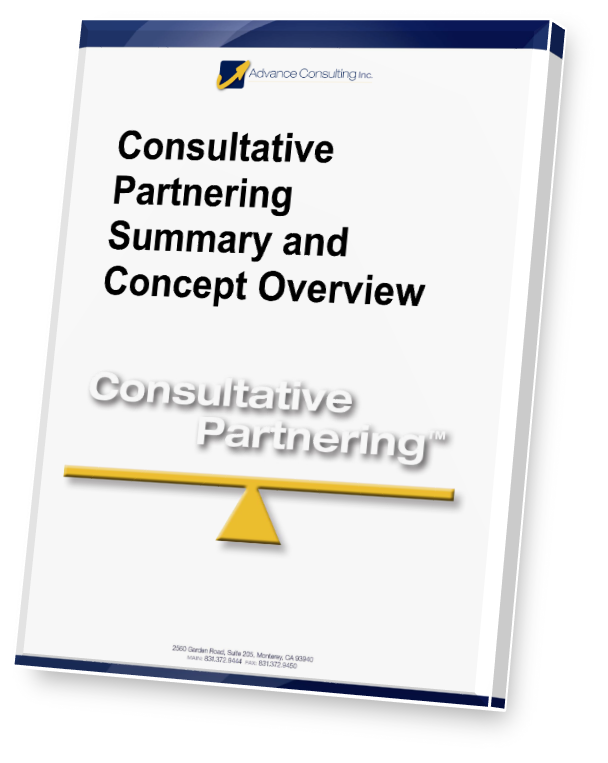 See the Consultative Partnering Summary and Concept Overview Download. DOWNLOAD THE CONSULTATIVE PARTNERING SUMMARY AND CONCEPT OVERVIEW! Learn about the strategy and essence of Consultative Partnering. Summarizes the importance of playing the appropriate role in the moment, leveraging your expertise, and artfully managing interactions with clients and teammates.